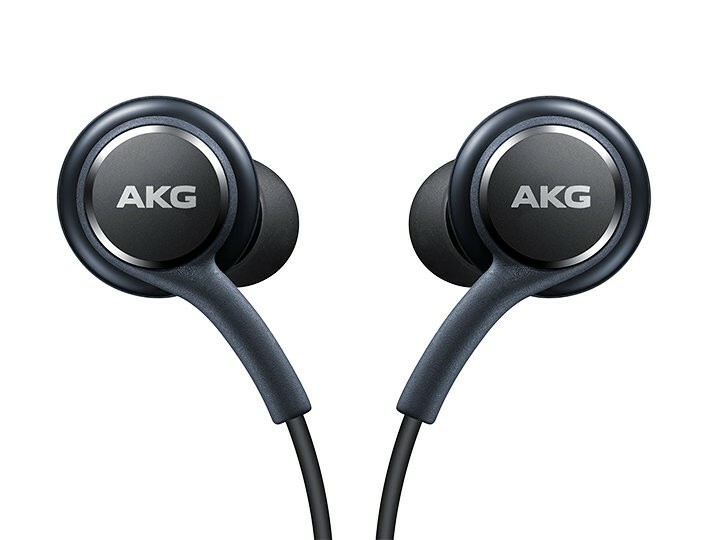 Samsung Earphones Tuned by AKG Review: The best pack-in headphones ever! UPDATE 1/11/2019: Samsung no longer sells this headphone as a separate purchase. A bummer! I added a few more details to the Overview section below. The history of pack-in headphones with mobile devices is rough. I’ve received a lot of free cheap headphones between the original GameBoy’s ear buds and now. Most of them have been terrible and taken a quick trip into my closet. Apple’s included ear phones were not too much better than those original GameBoy headphones for years. I think they finally found the mark with the Ear Pods. They’re decent, cheap…and now they have to have a DAC in them because Apple. Well, Samsung just looked at this low bar and jumped about a million feet over it. Seems like Samsung would rather you bought one of their more expensive wireless AKG headphones if you’re looking for a standalone pair! Original article continues. Not only that, they even include a revolutionary headphone jack in their phones so you can use them without an adapter! This is a dual-driver(!) In-Ear Monitor, meaning you have to fully insert and seal these into your ear canals with little changeable ear tips. I don’t usually like IEMs. For in-ear listening I prefer the open, non-sealing fit of something like the Ear Pods, or an over-ear pair of headphones. Because I’m skeptical of IEM comfort, I’ll admit I took one brief look at these last week when I got my phone…and then gently placed them in my closet. Thank goodness I changed my mind a few days later. The safe route would have been to release a warm, bass-heavy headphone that would appeal to a Beats, Bose, or Sony consumer. Warm signatures are fun, pleasant, and often instantly impressive to the ear. I have owned and loved plenty of different warm headphones over the years. With these, however, Samsung went a different way. This is a hilariously flat and balanced pair of headphones. The mids and highs are nicely crisp, natural, and musical. Bass is accurately rendered, but just a bit back in the mix. The result is something that feels like a brighter, Audio-Technica SR series signature. They’re never quite fatiguing, thank goodness, but with a little more top-end energy they would be. They have enough bass to still be a pleasant listen. They’re detailed enough in the highs to reveal flaws in your recordings/music files. It’s almost startling at first. They sound exactly the opposite of what you’d expect. There’s just enough thump to know the bass is there, but that’s it. The real focus is on preserving the detail and clarity of the music. The push in the mids and the highs gives these a slightly more open and airy quality than I’d normally expect from IEMs, which is great. I like the sound here, and bassheads will hate them. They work well across a wide variety of music genres, but they’ll never pound you in the chest and stomach with bass. Kind of gutsy and amazing, really. I imagine a lot of people will try out these IEM’s, so this neutral signature is going to get a lot more play than it usually does in the consumer space. Also, they get very loud off the amp inside my S8+. So you should have no trouble driving them with your phone or laptop, in spite of the presence of both 8mm and 11mm drivers. Build is about what you’d expect for $99 IEMs, in a good way. The cables don’t detach, sadly. The ear tips use a pretty standard barrel so finding replacements should be easy. Comply foam tips should work without issue here. In spite of the long-winded name, the IEMs just say “AKG” on the sides. The cables coming out of the ear phones are standard rubber-coated cables, with an adjustable coupler. After the junction point, the cable is a nice durable-feeling braided tangle free cloth material. The plug end is straight, which some people might not like, but it should fit through plenty of phone cases without issue. These sit quite flush with your ears when fully inserted. That’s a rarity in today’s world of wireless IEMs that stick way out of your head. Heck, many wired models stick out pretty far now. Comfort is okay…though not on the same level of something with a more elliptical ear tip like the Panasonic Ergofits or Bose’s excellent StayHear tips on their in-ear headphones. I was expecting to have immediate pain, and I didn’t. In fact, they’re decent for long sessions. They just don’t ever quite disappear the way some in-ear models can. The plastic on the left ear piece sometimes gently bumps into the back of the bowl of my ear, but not enough to cause pain. You may have to play with them a little to get a good seal and fit. Isolation with the default tips is decent. 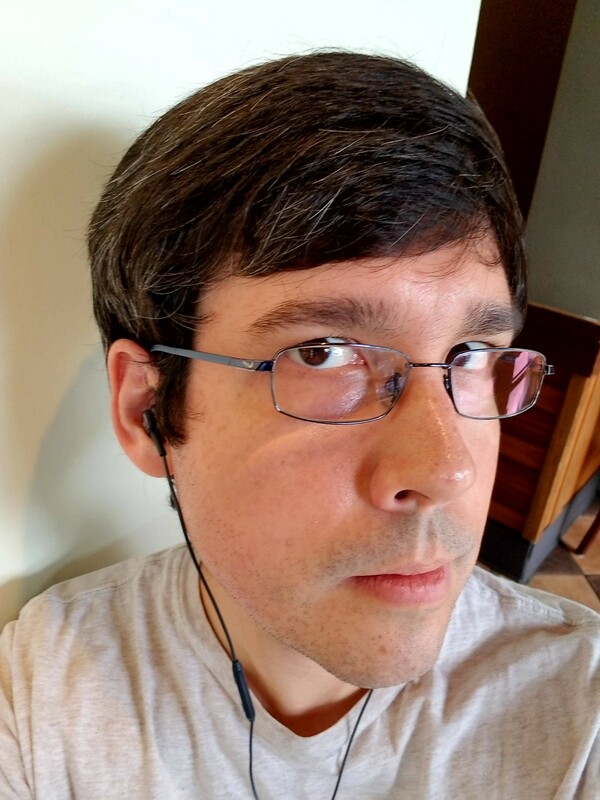 Not quite as frighteningly quiet as my Bose SoundTrue Ultras, but close enough to work well for a loud coffee shop. You’ll still have a little awareness of what’s going on outside your head especially if you listen at reasonable volumes. I like this compromise. It’s nice to be able to go for a walk in my neighborhood without being afraid of missing a car noise. Samsung includes a little bag with different sizes of ear tips, and that’s it as far as bonus stuff goes. There’s an in-line remote with controls that work on Android, and an okay microphone without any real background cancellation. Would I have spent $99 on these if I hadn’t received them for free? Yes! That seems just about perfect, price-wise. Especially if you need a pair of nice IEMs with controls for your Android phone. I was trying to make due for a few days using an old pair of Ear Pods, but I really really missed having full volume controls on hand. And so I dug these out of the closet where I had skeptically placed them after buying my phone. I’m so happy I did. Look for a couple more articles on the phone in the next few days! Who am I kidding? 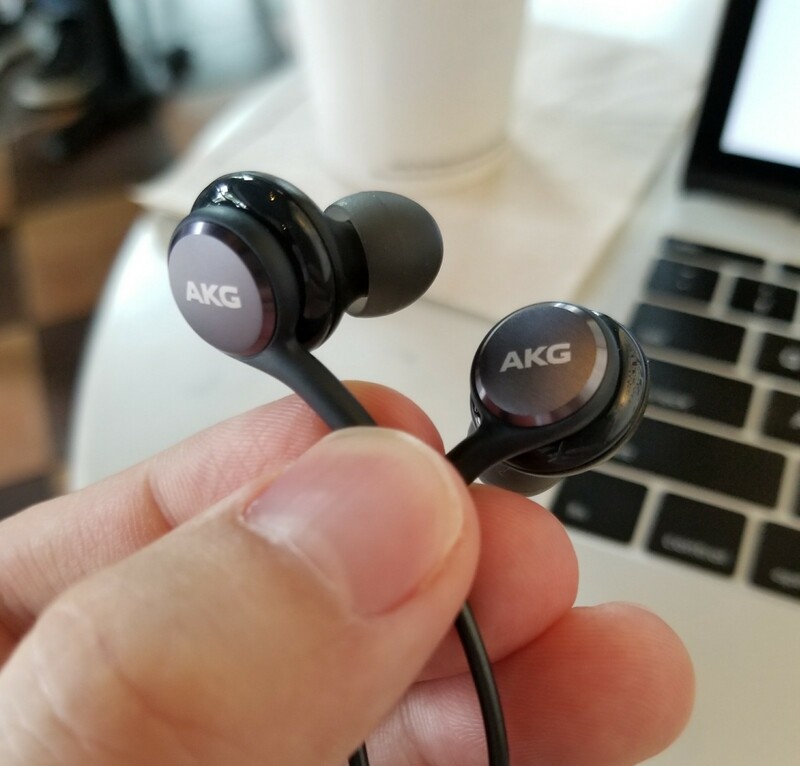 These AKG in-ears are a weird anomaly. And it’s so wonderful. Please click that little heart button if this helped you out or you liked it! It helps more people to find my stuff. I don’t get paid to do this, so that’s the only form of compensation I get. Thank you!